(TibetanReview.net, May31, 2018) – Chinese authorities routinely delete and suppress internet posts made to social media in China by embassies in Beijing, imposing the country’s censorship regime even on foreign governments – and raising fears that those governments, including Canada’s, are adapting by self-censoring, reported infosurhoy.com May 29, citing a new report on the issue. The report is said to indicate that censors are redacting material from embassies’ posts, raising fresh questions about China’s imposition of its values on others, an effort that includes demands that airlines and hotels use language approved by Beijing when they refer to subjects such as Taiwan and Tibet. With indications of China’s “censorship apparatus starting to go abroad,” it’s time for “like-minded foreign governments to draw a line in the sand somewhere,” Fergus Ryan, who wrote the report “Weibo diplomacy and censorship in China” for the Australian Strategic Policy Institute, was quoted as saying. The development is said to belie the once much-touted hope that Sina Weibo, the Twitter-like Chinese service, would be a tool that would empower foreign diplomats to use “Weiplomacy” to reach hundreds of millions of Chinese people. 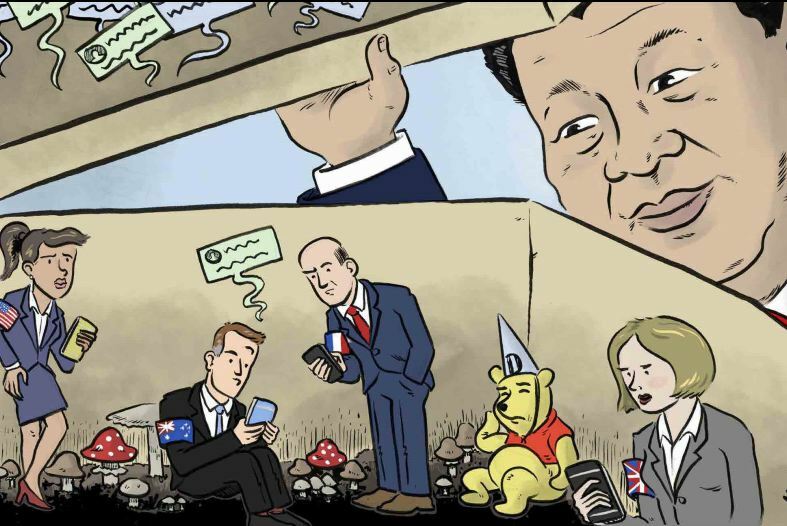 The censorships included deleting posts that mentioned topics considered sensitive, such as China’s human rights record or the names of top officials and dissidents. Censors were also reported to appear to be trying to limit the influence of foreign countries by counteracting the spread of content that might go viral. No posts from the Canadian embassy, which was once the most-followed foreign mission on Weibo but has slipped to third place, were censored during that three months. But that was found to be because it exercised self-censorship. In at least two cases in the past month, Canadian embassy content posted to Weibo differed from what was on Twitter, it was pointed out. For example, on May 22, the embassy posted to Twitter calling for the immediate and unconditional release of Tashi Wangchuk, an advocate for Tibetan-language education sentenced to five years in jail. That post does not appear on its Weibo account, the report pointed out. Before that, on May 3, the embassy marked World Press Freedom Day on Twitter, which is banned and therefore hardly read in China, with a post linking to a statement from Prime Minister Justin Trudeau. The same day on Weibo, it summarized elements of the statement and advocated “discussion” of issues like online free speech. But it did not include a link or several elements of Mr Trudeau’s statement, including a reference to the importance of “an independent judiciary” in safeguarding press freedom or a pledge that Canada will “stand against any violence, intimidation, censorship, and false arrests used to silence journalists,” the report pointed out.